Exercise is a demanding activity. That’s why you demand headphones that are up to the challenge. 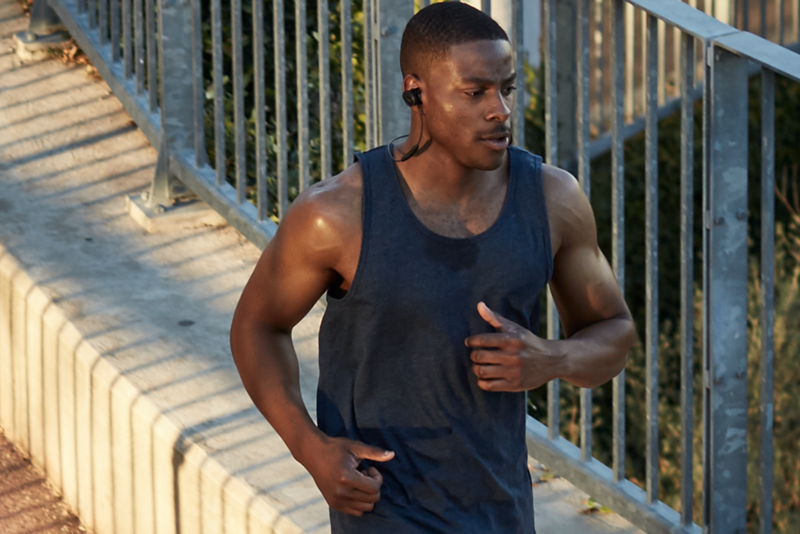 With no wires in the way, SoundSport® wireless headphones keep you moving with powerful audio and earbuds that stay secure and comfortable. They’re also sweat and weather resistant with a battery life of up to 6 hours per charge. 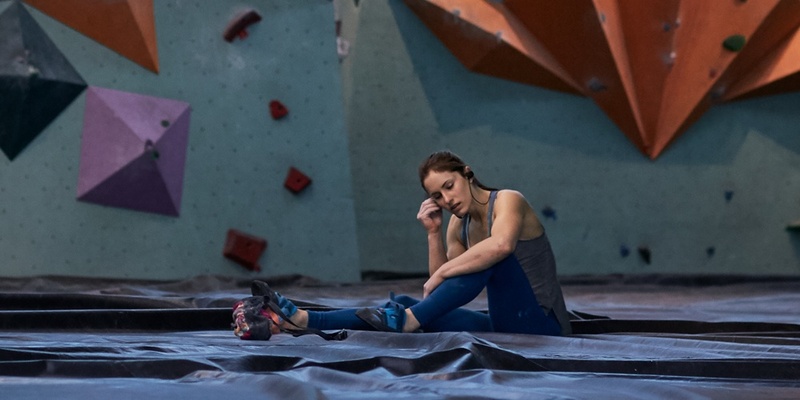 Can SoundSport® wireless headphones take calls? Yes. SoundSport® wireless headphones have an inline microphone for taking calls from your smartphone. In addition to traditional calls, the headphones will work with many apps that use Voice over Internet Protocol (VoIP), such as Skype or FaceTime. Are SoundSport® wireless headphones noise cancelling? No, SoundSport® wireless headphones do not have noise-cancelling technology. If you're looking for earphones with noise-cancelling technology, see our QC®20 wireless headphones. Near Field Communication (NFC) is a short-range wireless technology that enables two NFC-enabled devices to communicate when they are placed in close proximity, typically less than 10 cm (4 in.). 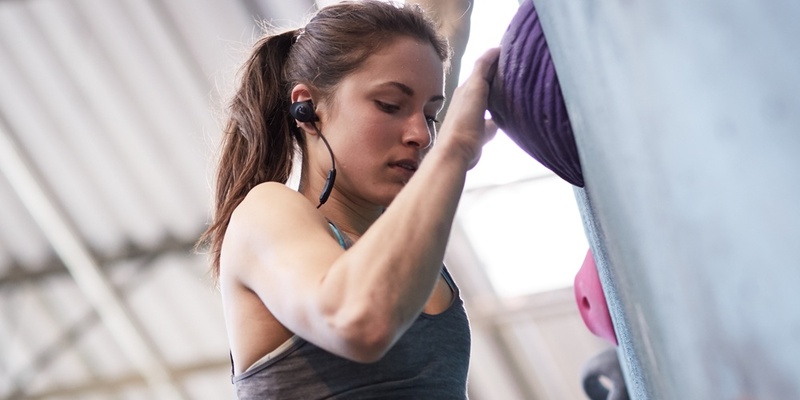 For SoundSport® headphones, NFC is used to facilitate Bluetooth® pairing. When an NFC-enabled device, such as a smartphone, is placed near the inline remote, it pairs them to the device via Bluetooth®, which allows you to quickly enjoy your music. Placing the device near the inline remote a second time will disconnect the headphones. How do I pair SoundSport® wireless headphones with my mobile device? Additional note: The NFC function in iPhone 6/6 Plus or 7/7 Plus only enables Apple pay functionality. It doesn't facilitate pairing. Please use pairing instructions for phones that are not NFC enabled. Can SoundSport® wireless headphones simultaneously be connected to two mobile devices? Yes. 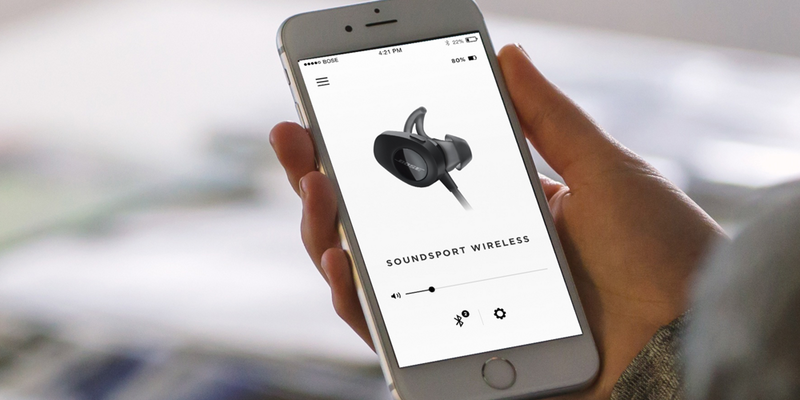 Multi-point technology allows SoundSport wireless headphones to maintain a connection to two devices at the same time—for example, an iPad and a smartphone. So, while you're watching video on the connected iPad, the headphones will automatically pause the video to answer a call from the connected smartphone. When the call is finished, the headphones switch back to the video on the iPad. Please note that audio can be streamed from only one device at a time. How do I charge SoundSport® wireless headphones? SoundSport® wireless headphones can be charged using the USB cable supplied in the box and plugging it into a USB port on a computer or a wall charger (sold separately). Allow up to 2 hours for the headphones to fully charge. Once they are fully charged, the battery indicator light will turn green. Can I charge SoundSport® wireless headphones from my PC/laptop? Yes. SoundSport® wireless headphones come with a USB cable that allows the headphones to be charged from your PC or laptop. Please note that the PC or laptop must be on and awake in order to charge over USB. No. SoundSport® wireless headphones will not play music when the battery is fully depleted. However, if the battery is depleted, a quick 15-minute charge provides approximately one hour of play time. The larger middle button is the multi-function button. It initiates play/pause and other track controls for videos and music, answers and ends calls and can also initiate voice commands such as Siri, Google Now or voice dial. The buttons on either side of the multi-function button are volume +/- buttons. They allow you to easily adjust volume in an intuitive up/down vertical orientation. How are the StayHear®+ Sport tips included with the SoundSport® wireless headphones different to the original StayHear® tips? The StayHear®+ Sport tips are made of a similar soft silicone material as the original StayHear® tips, but they utilise a unique shape to create a gentle seal at the entrance of the ear canal, which helps improve audio performance. 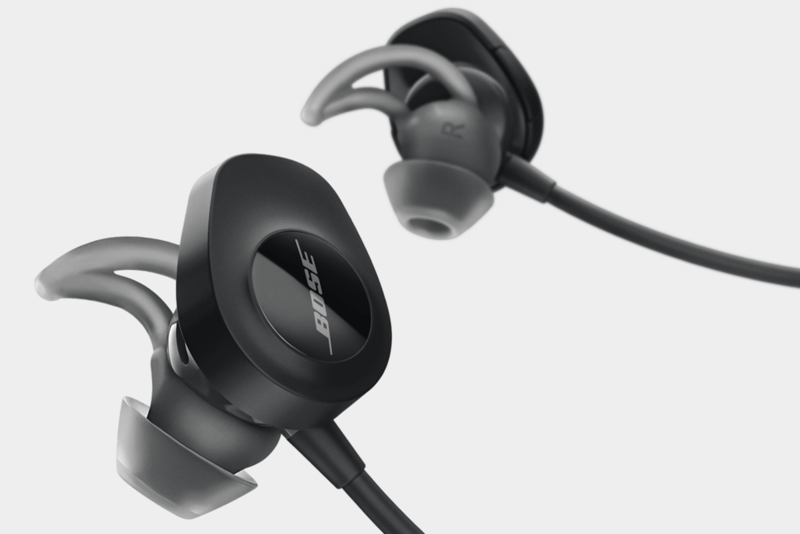 Are the StayHear®+ Sport tips compatible with other Bose® in-ear headphones? No. 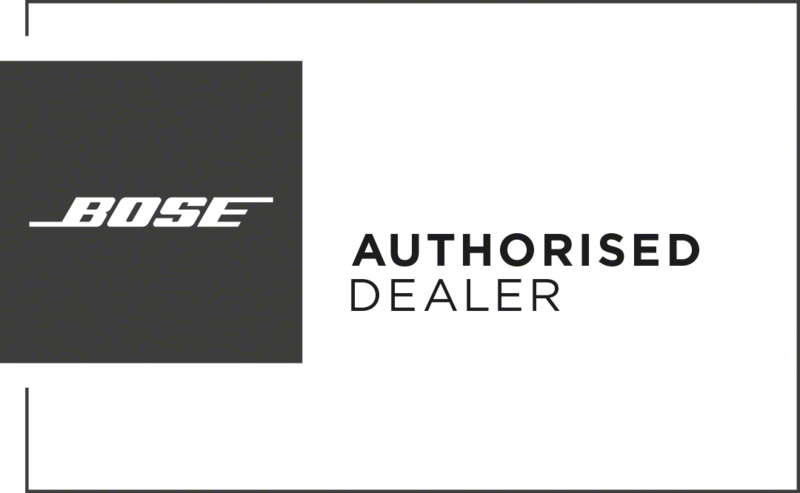 While the StayHear®+ Sport tips for SoundSport® wireless headphones look similar to those used on QuietComfort® 20 and SoundTrue® Ultra headphones, they should not be used with any other Bose® in-ear headphones.